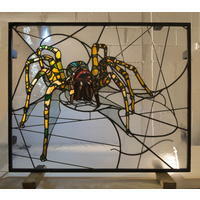 Woolwich arachnophobe confronts a hairy issue using stained glass 'therapy'. 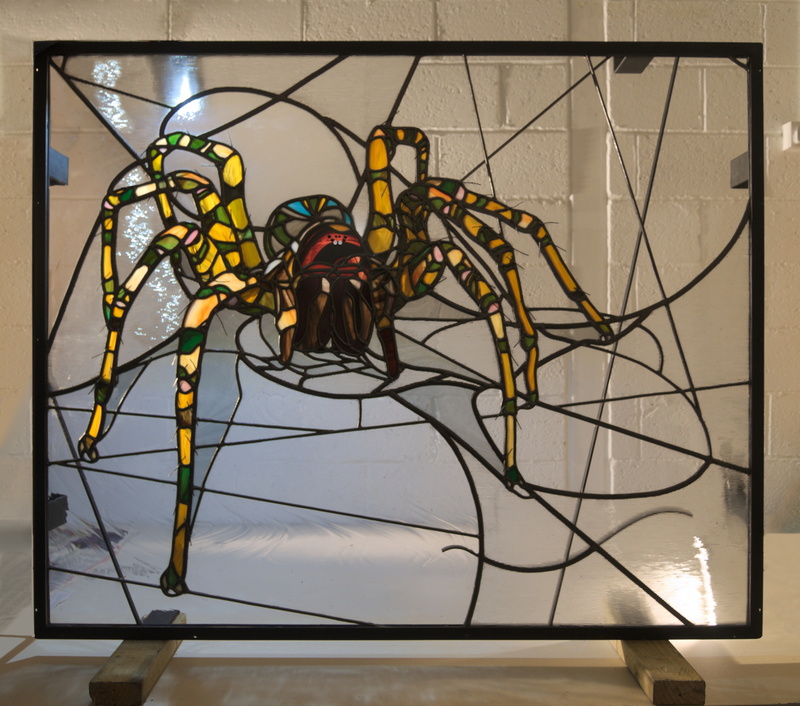 I am writing to you to let you know about an arachnophobic artist from Woolwich, South East London, who has addressed her phobia in stained glass. 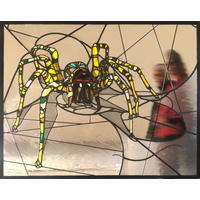 Woolwich arachnophobe Kate Khoury has turned to stained glass to address her fear of the common house spider. The result, "It's probably more afraid of you. 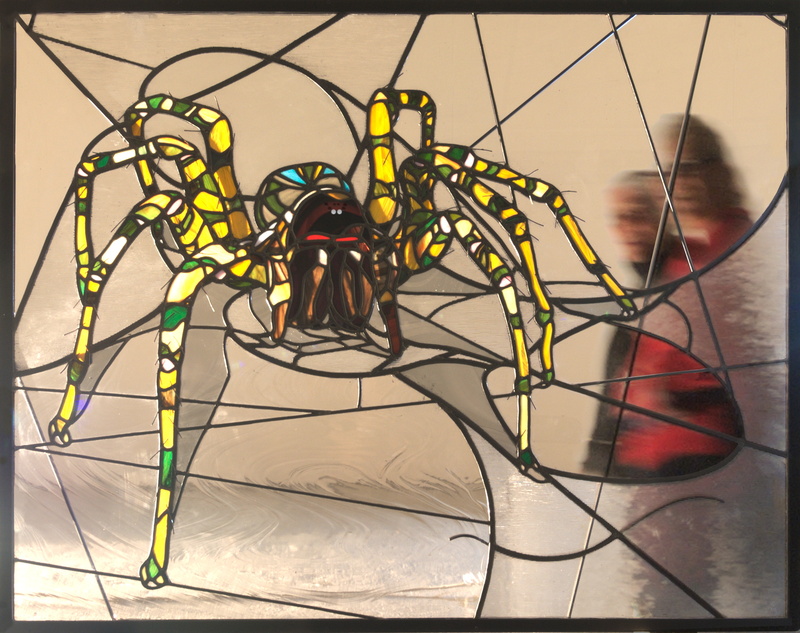 ", is Kate's third work in stained glass and it depicts a 90:1(≈) scaled up version of the female of the species, t.domestica, poised, in wait, in her funnel web. (panel size 1430mm x 1110mm). "About a hundred times bigger! Yep, that's how large they feel when they're coming at me!" Kate says, laughing. “I fell through a loft floor once my reaction was so bad!”. Anticipating the current spider infested season, she says she thought a lot about her irrational fear and has come to the conclusion that, in a sense, it's a way of avoiding ever completely growing up. “While I'm petrified of spiders, I'll always be dependent on other people getting rid of them for me." 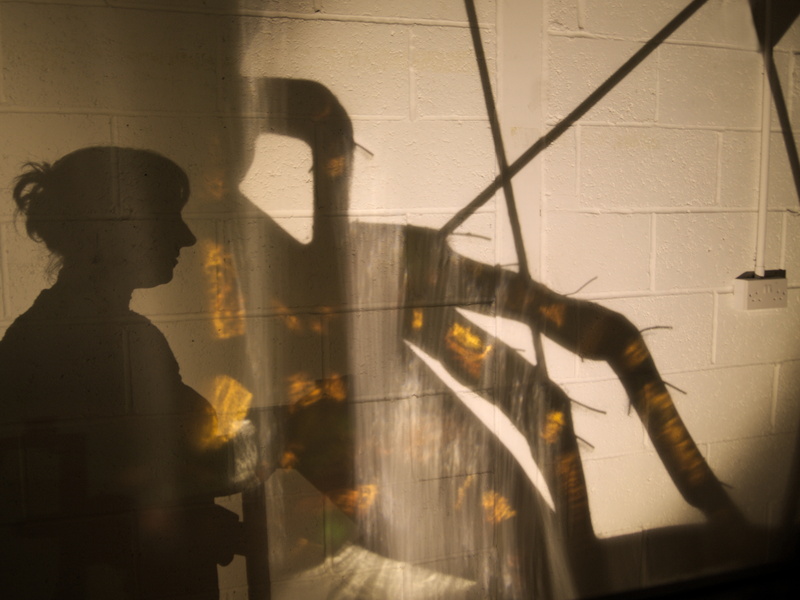 Kate, who grew up in the South East of London, says her window is actually designed to be approached from afar because she has always imagined the spider nestled by its funnel in the corner of a fully glazed 'web' wall, as we, its potential dinner look on. "I think that would be something great to experience." RelevantNow has afforded me a great opportunity by allowing me to start getting to grips with a side of making art, ie publicity, which can be all too tempting for many artists to shy away from, even when it is essentially their lifeblood! Distributed by RelevantNow to 239 media. Read online by 266 people including emails, social media and the web.